"Where Ipe Suppliers Compete... You Win." very confident that our Ipe suppliers can flatten anyone's Ipe prices. Relax. You made it. 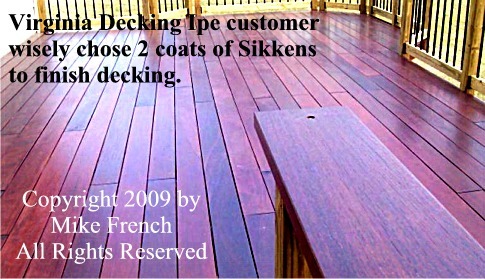 Here is the only place on the planet where you can get multiple Ipe Suppliers to compete for your Ipe decking order. All by filling out one easy form. 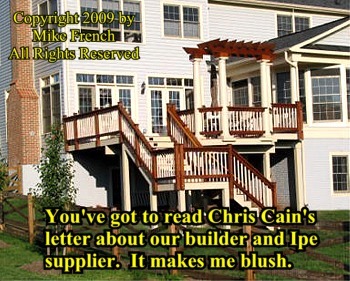 My name is Mike French and I have been designing and building Ipe decks and porches for many years. In the course of that work, I have found a number of excellent Ipe Suppliers who handle Ipe lumber and Ipe hardwood flooring of all kinds. 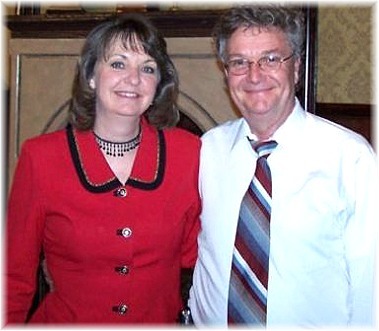 These folks are some of the largest and most respected Ipe importers in the country. These suppliers offer quantity discounts and their delivery is fast... 5-7 business days in most cases. Just fill out the Buyer Solicitation Form. All bids from all suppliers will go directly to you. Take you 15-20 minutes tops. It is important that you use this above form. Not only will it provide accurate bidding from our suppliers, but depending upon your answers to certain questions, we may be able to save you some more money. 2) If you don't care about the least expensive Ipe, but you want a good ball park idea of price like RIGHT NOW, then right click and download the copyrighted Excel Ipe Pricelist. This gives you standard pricing at current going rates for Ipe. 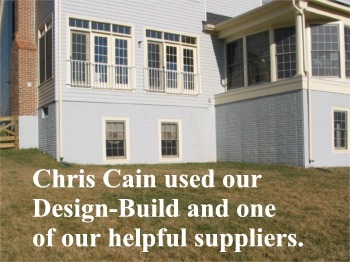 Your quote will be fast, but not the least expensive. "Are you serious? This thing works something like lendingtree.com?" You catch on fast. The suppliers I have put together will compete for your business... and these suppliers are extremely competitive in their pricing. They HAVE to be if they want your Ipe order. You will get all the bids directly from all the suppliers who want your order. "And I can take the lowest bid? No strings attached?" "So I can get Ipe suppliers bidding for my Ipe order... competing for my business... and I get all the bids and I pick the lowest and best. Why would I get bids anywhere else??" Good point. One stop shopping for Ipe and other tropical hardwoods. Tell your friends... unless you're like me and have no friends. "Soooo, what's in it for you? You're not charging me anything... so why you doing this?" Cause I'm such a NICE GUY! OK, that's probably not true. Actually, I save the suppliers money by handing them your business (no advertising expense for your order)... and I save them time because I have automated the whole bidding process ala my website and the Buyer Solicitation Form. Result? They give me a 7 1/2% broker's fee out of their profit. They win. I win. You win. I like that. As a matter of fact, yes. Most of my suppliers do not charge shipping (unless it's a real small order)... and in most cases, you will not pay sales tax because it's an out of state internet sale. Cha-ching for you! I am SO dead when she sees this on the Internet! THAT... is my trophy wife. By the way, if you have any questions about this one of a kind service or how to fill out the Buyer Solicitation Form... give me a call at 540 786-0456. 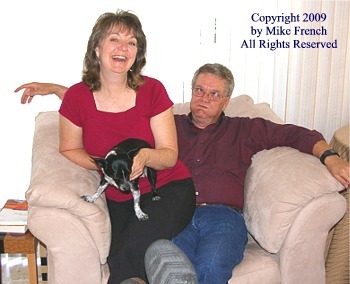 Either my wife Deb or I will be more than happy to answer your questions. Also be assured that all of your information will be held in confidence and protected. And that's no joke. Look at all the money you'll save! 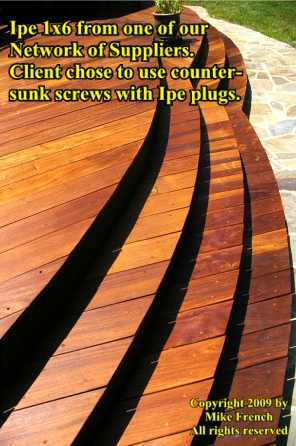 Want a Spa or Hot Tub Made from Ipe? "The alternative to treated lumber"
"Where Hardwood Suppliers compete... you win!" 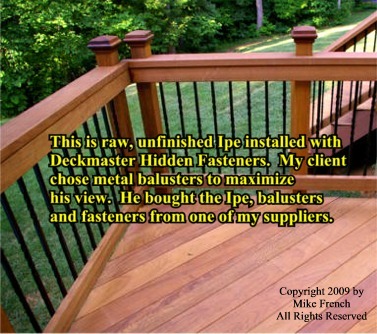 and get Ipe and hardwood solicitations from our buyers... free!